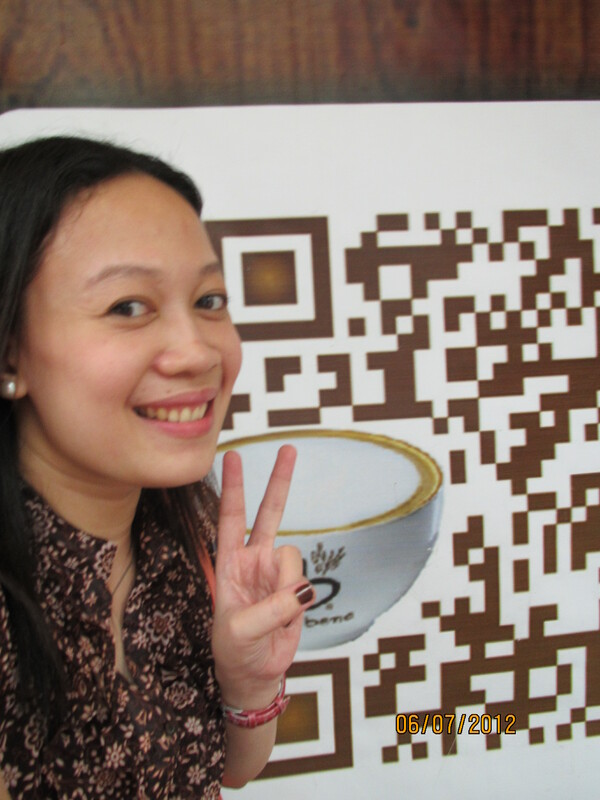 All are excited since Seoul’s coffee chain Caffe Bene announced that they are opening in Eastwood soon. There’s no final date yet of the opening though. 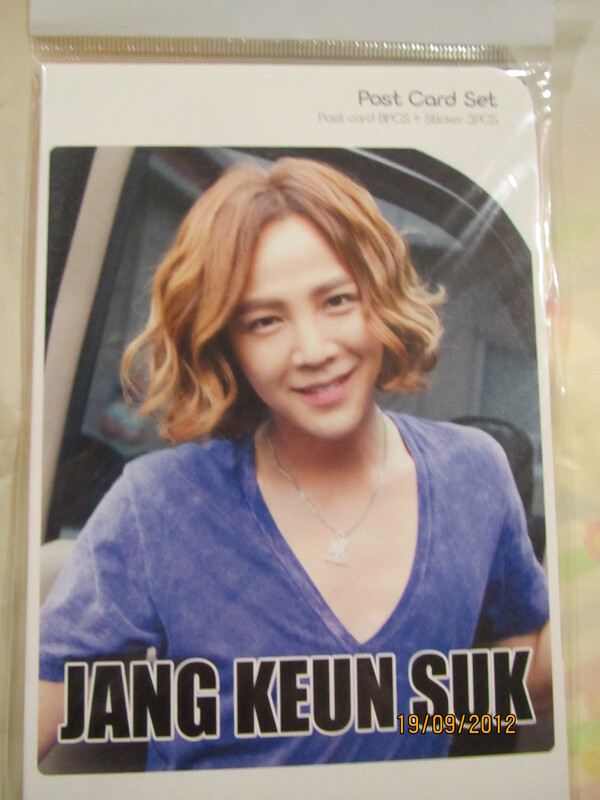 But don’t worry JKS fans out there. 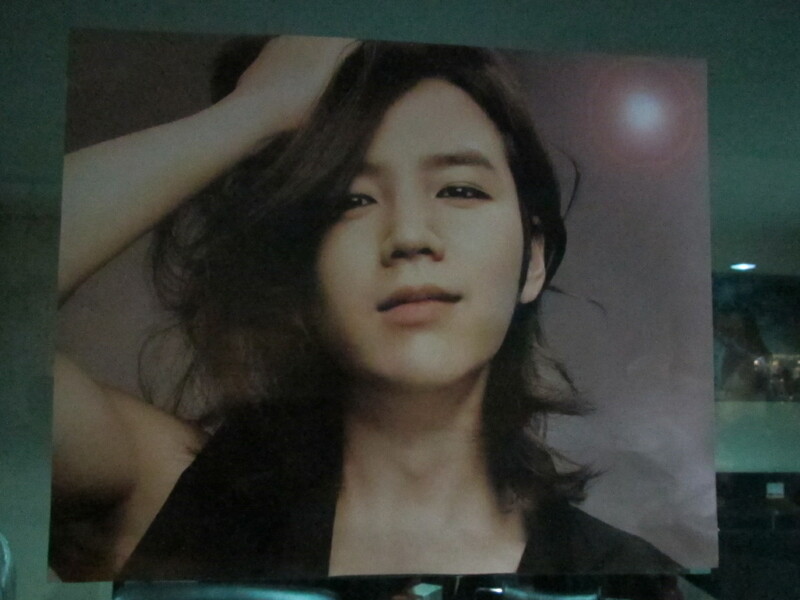 I think Eastwood is beginning to be a Jang Keun Suk heaven. 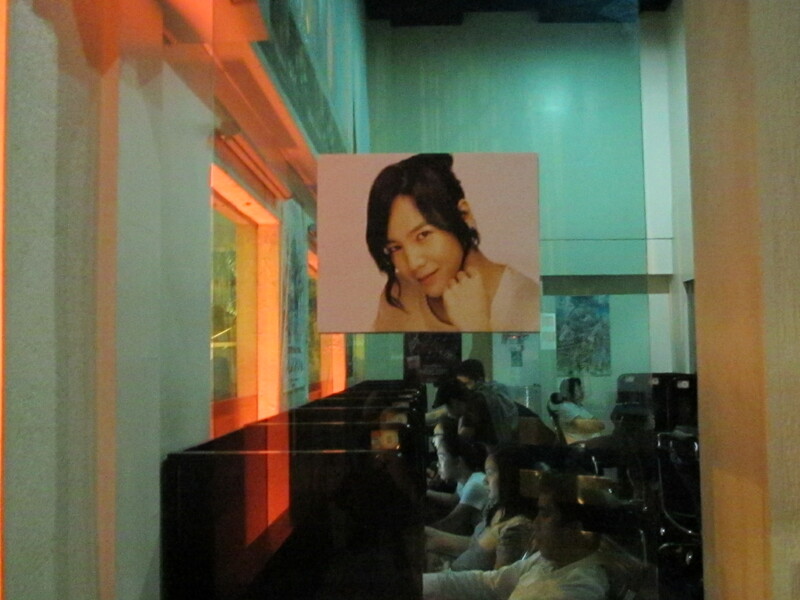 Just a few days ago I saw a post in Facebook of a fellow Eels Philippines member that there’s an internet shop here that apparently has JKS face all around the shop’s interior. I need to see it for myself so I hurried after my work to take a peek. 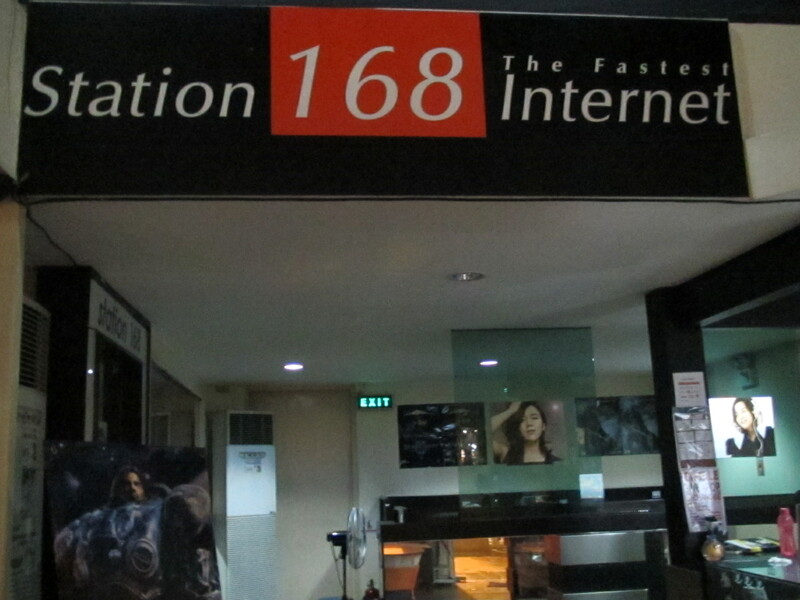 It’s the longest standing internet and gaming shop here in Eastwood called Station 168 located at 2/F of City Walk 2. I have been here I guess once this year but I must not be paying so much attention. And so I entered the shop. Upon opening the door I’m so overwhelmed! I looked like a crazy fool when I saw what I saw. 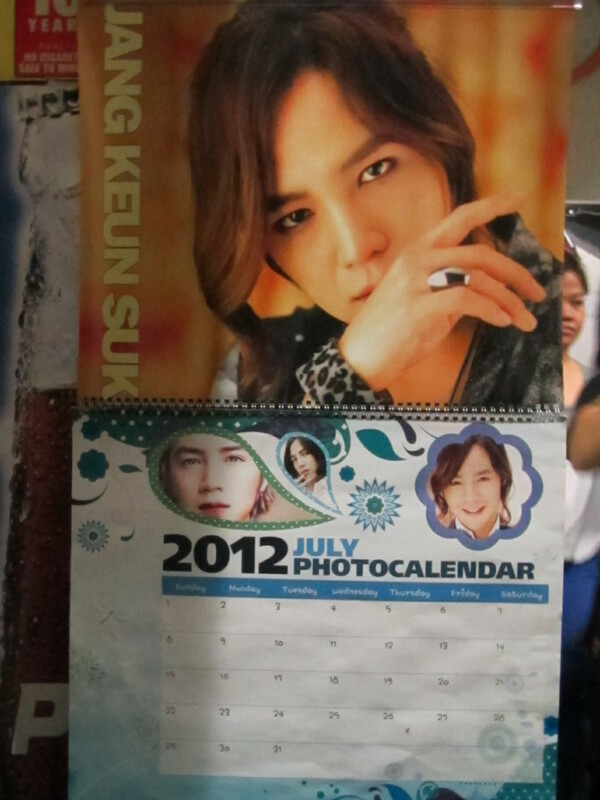 Literally there are Jang Keun Suk posters in their walls and even had a calendar in their counter. OMG! 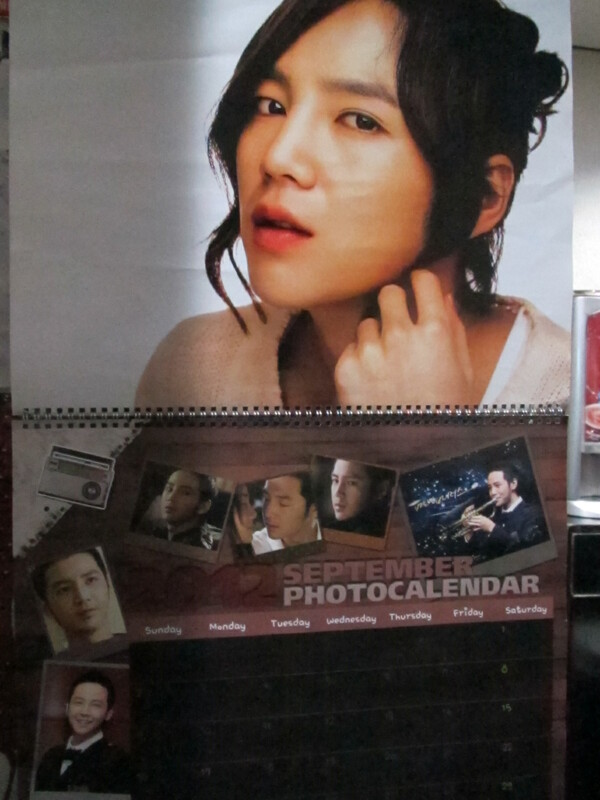 Notice that the calendar is on the July page month and it’s already September. I knew it, even the cashier and sales persons looked for the hottest picture to display. A funny story is that after I took photo of this they immediately changed it to the current month. 🙂 I think they got a little bit shy of the late display but what they didn’t know is I like the July photo better, right girls? 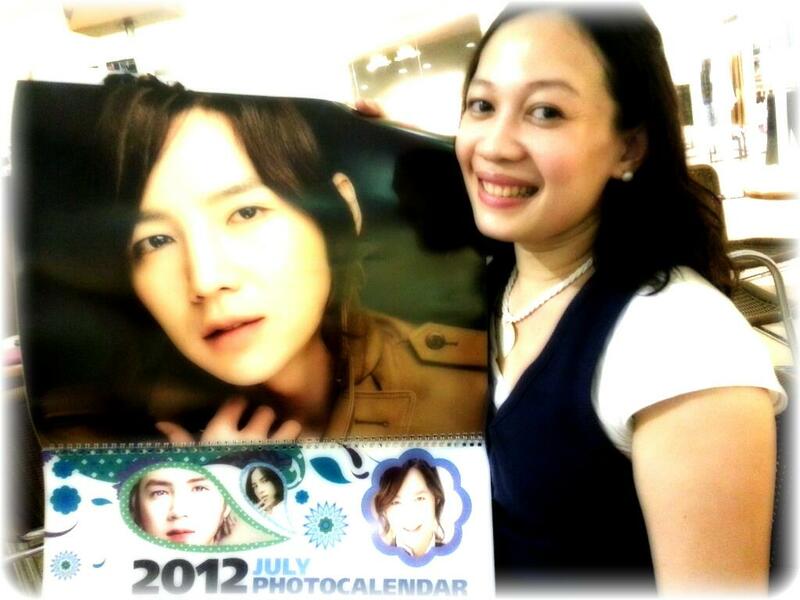 And even before I asked the lady at the counter why they have a JKS calendar my eyes got hooked on some Korean merchandise displayed right in front of me. 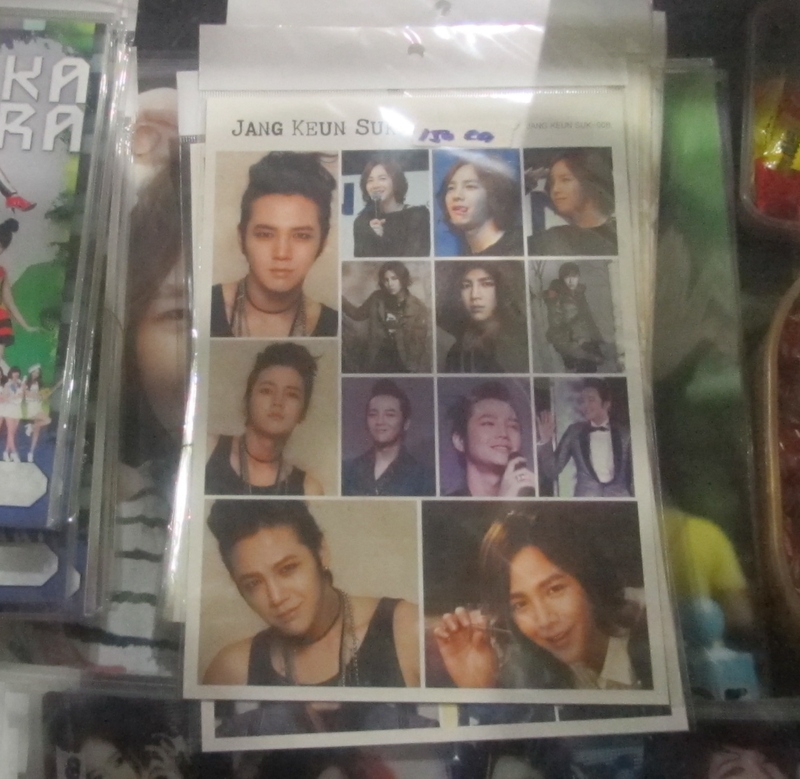 Yes apart from the JKS posters on the shop walls they are selling some items. 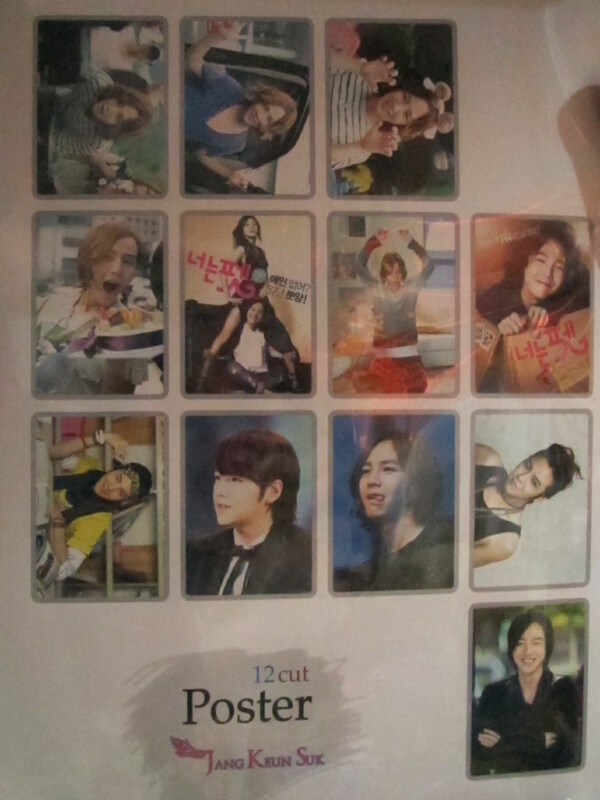 And the top display is no other than a Jang Keun Suk sticker set for Php 150. The super excited me asked if the calendar is on also on sale and I almost jump when they said yes. 🙂 So I thought I’m settled on just buying the calendar and not the sticker when I came across one more item on display. It’s a post-card set of 8 for Php 170. Wahhh, it’s all so confusing now and yet I still rummaged on all the other merchandise. 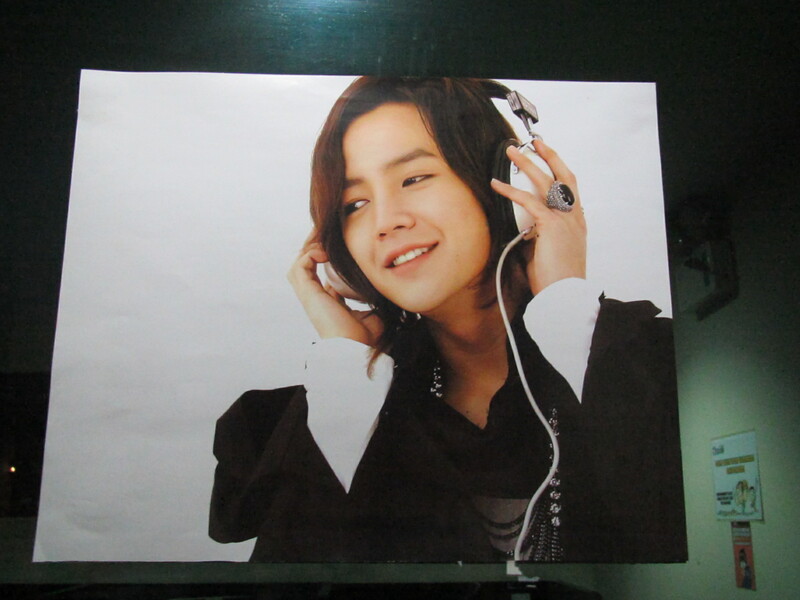 Look what I have found…a 12-piece poster set for 360 pesos, the same price as the calendar. OMG, what to do? 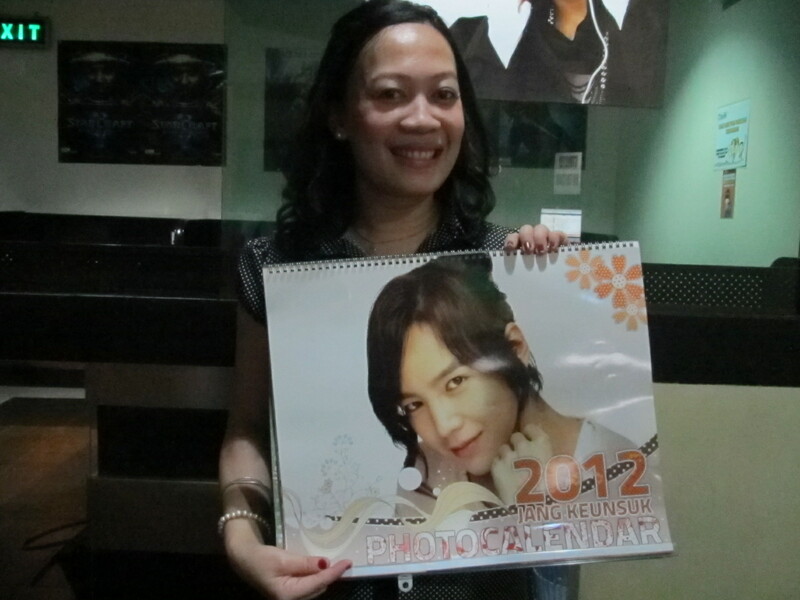 I settled on the calendar and took this photo as souvenir for the poster set. I think I would come back for it on the next payday hehehe. I had so much fun inside the store. I know the sales staff are all laughing at me but a fangirl will always be a fangirl, who cares right! 🙂 So I took more photos. I always have a soft spot for coffee shops. It’s not so much of the coffee but the cozy ambiance is the one inviting me to sit, order a drink and stay for a long while. I usually spend an hour or more just mumbling and pouring out my thoughts on the keyboard or a plain paper, the charming baristas of course add more flavor on my stay. Aside from this guilty pleasure the other thing that keeps me alive is all about Korean stuff: from Korean dramas, Korean heartthrobs, Kpop music, Korean make-up, soju, Melona ice cream or just plain seeing a Korean on the street makes my day. 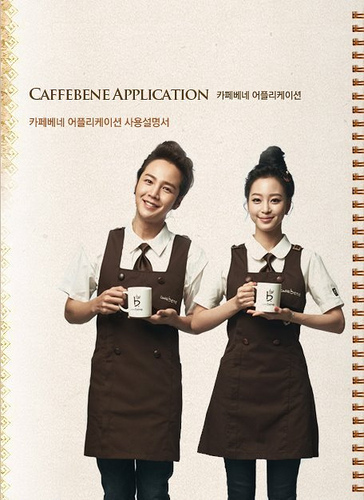 Now put these two together, a Korean coffee shop soon to open in the Philippines by the name of Caffe Bene. OMG! 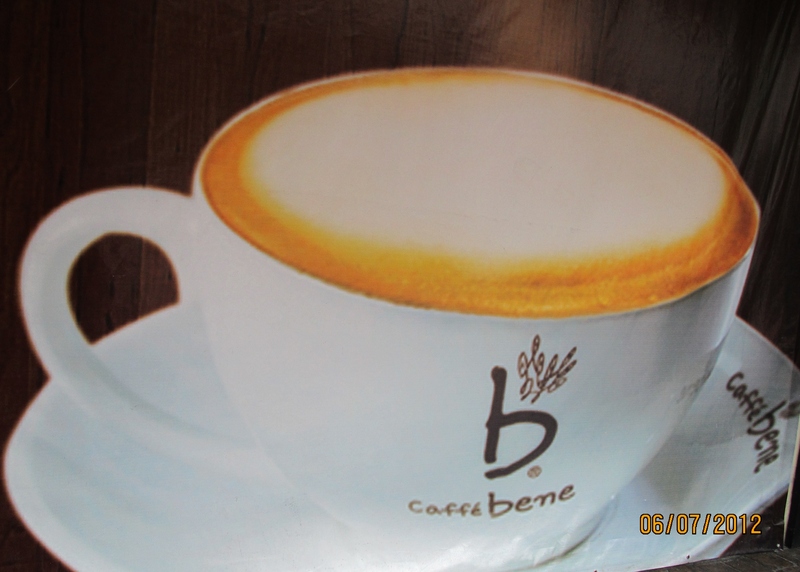 Caffe Bene…sounds familiar? I have never heard of this Korean coffee franchise before, more so here in the Philippines. I went to Seoul, Korea last 2010 but all I know then is the famous The First Shop of Coffee Prince plus the international US brand favourite Starbucks and the Dunkin Donuts in Myeondong which has a posh ambiance there (unlike here). 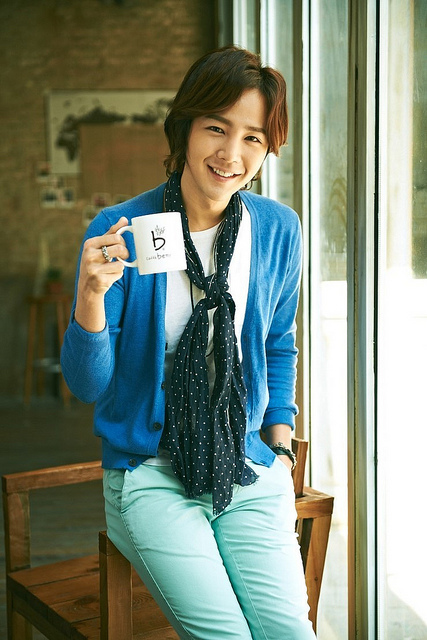 It’s just last month that I learned of this coffee house because it’s now endorsed by the Korean pretty boy Jang Geun Suk that I heart so much. Of course I become curious when I saw the video of his TVC for Caffe Bene in Youtube. 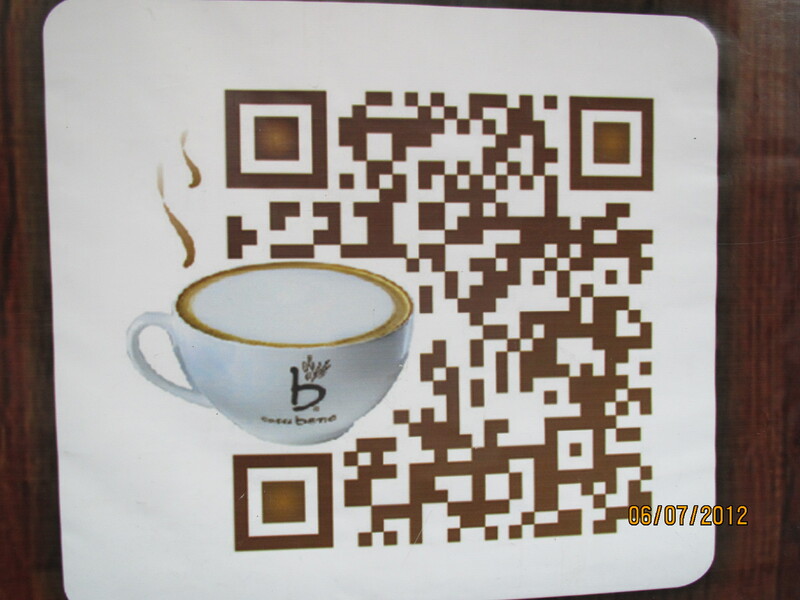 So what is Caffe Bene all about? Apparently (upon research) Caffe Bene is not so new in Korea. 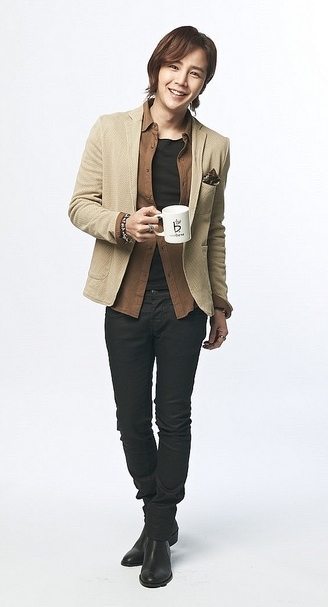 This Seoul-based coffee chain was founded in May 2008 by Sun-Kwon Kim, its current CEO. 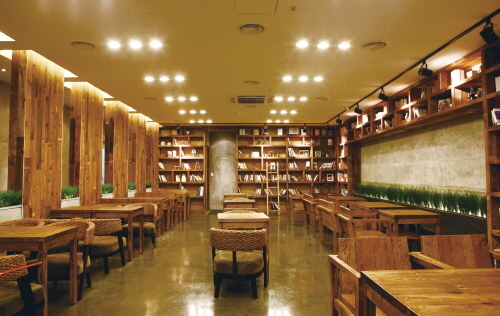 It is now the largest coffee house in South Korea in terms of number of stores, more than 700 as of April 2012. It even has branches outside Korea like New York and China (and soon here in the Philippines). Caffe Bene is gaining much more popularity these days in Korean TV dramas, the most famous of which is the coffee “Crème Kiss” in the hit Secret Garden. Yes, that playful and romantic act of Hyun Bin kissing the cappuccino foam off Ha Ji Won’s lip was shot inside a Caffe Bene shop. Thrilled with that trivia? What more to be thrilled about than its new ambassador. 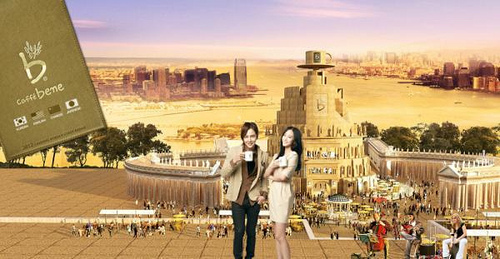 I bet its presence will even be higher not only in Korea but also in Asia with their very charming new face of Jang Keun Suk. At this point I think Starbucks Matalino has found its rival in my heart. I wish there will be Korean baristas to serve that looks equally charming with my Starbucks Matalino crush, hahaha. 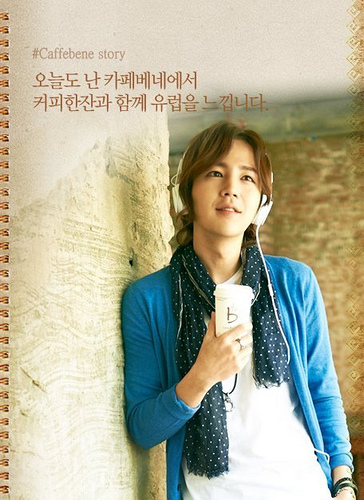 Or maybe and just maybe the Asia Prince Jang Keun Suk himself will show up one day, serving like a barista. OMO, OMO! I will die for sure from his melting pretty smile. 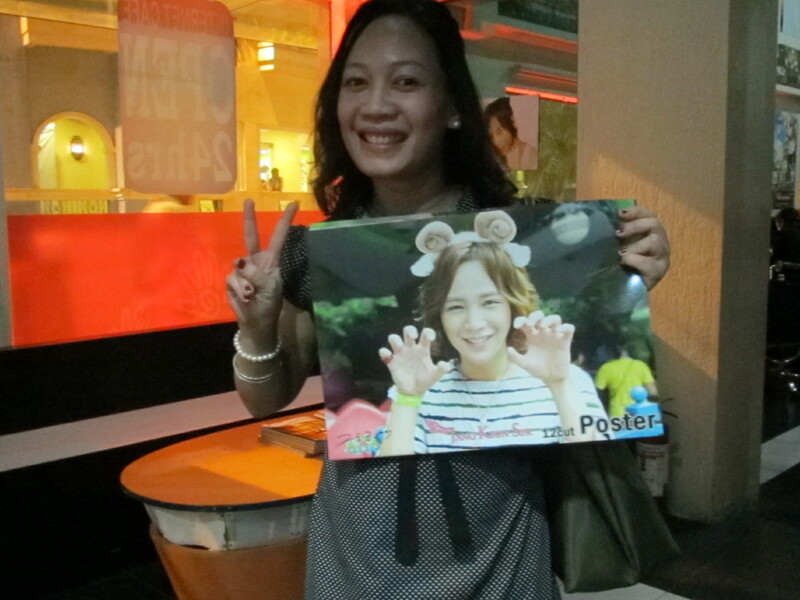 I’m already dreaming guys just like all the Eels PH out there, right? I guess it would really be a “feels like I’m in the heart of Seoul” when I step inside its premises at the opening day. 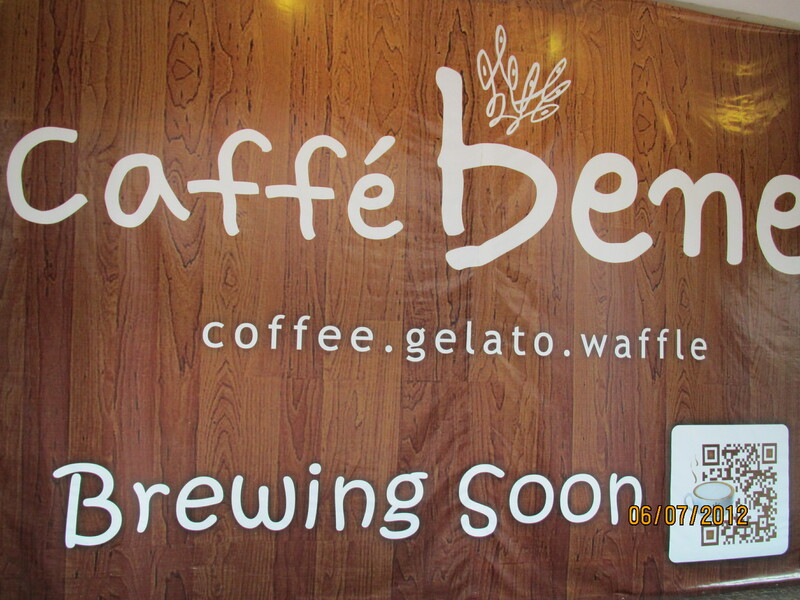 Caffe Bene will be located at the Ground floor of Eastwood City Walk 2, beside Coffee Bean and just near Starbucks. As of writing no exact opening date yet but I already signed myself in to be there at the opening day and blog about it. 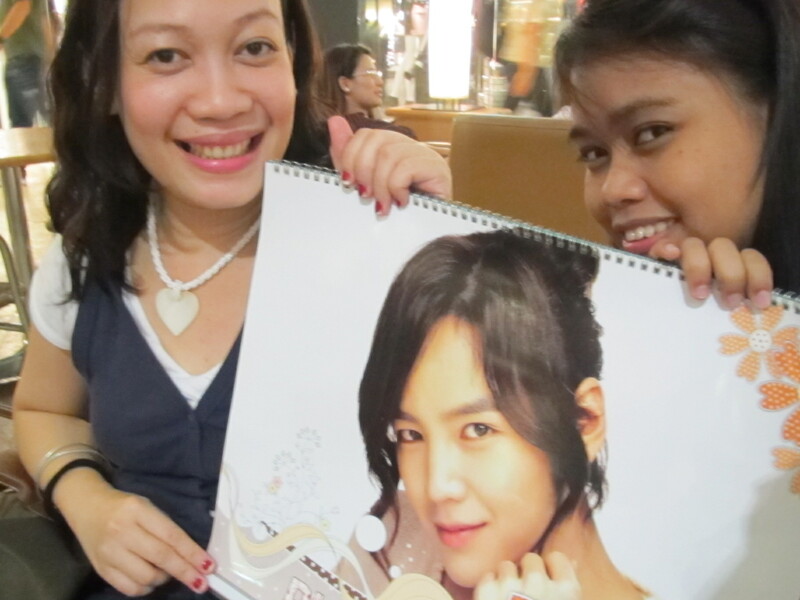 Talk about Korean-addict I got a tweet reply from @CaffeBenePH that says they will update me once the date is set. For now what can I do is pass by Eastwood City Walk more often hoping to get some buzz. And just last Monday I happened to see some developments. The tarp teaser is half way wrapped up and I can see the insides being constructed. From the looks of it probably a month or so before it opens. Oh I can’t wait! !